The machine offers increased flexibility for different materials. It achieves the highest productivity and seam quality. 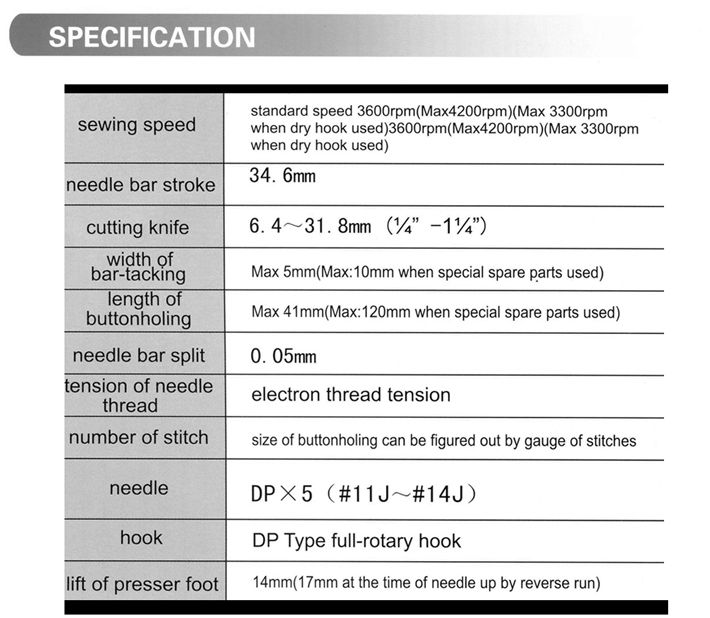 The machine is provided as standard with 30 stitch patterns for button holing, which can be easily changed.